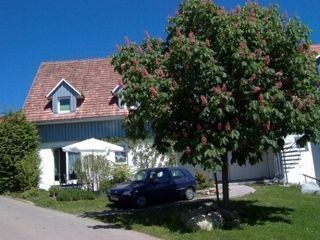 Our house for holidays is situated in the south of the smal village Bechtersweiler, surrounded by plantages of fruits, pastures, forests and lakes. Our 3-stars-house is modern furnished and offers with its largeness also the chance to make holidays with a friendly family or serveral generations. 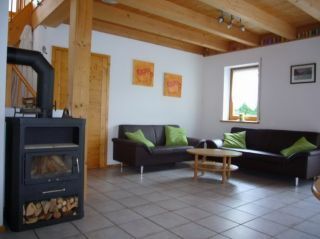 Check in from 15:00 o`clock Check out until 10:00 o`clock --- The house is situated only 2 km from the -Degersee-.